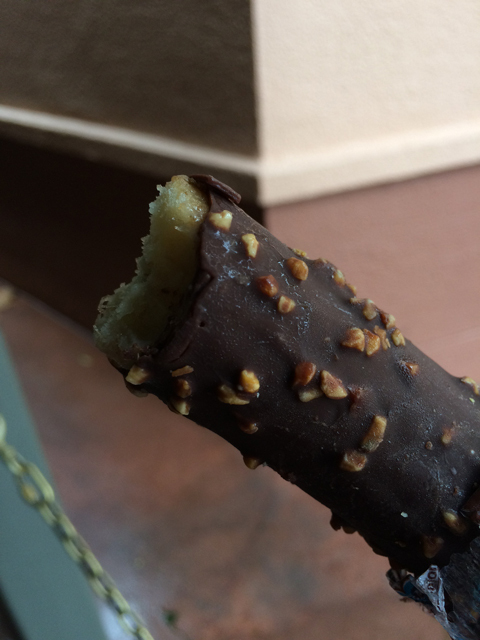 For many years now, I always like to indulge in a tasty treat while visiting a Disney theme park. Whether it’s Disneyland or Disney World, there’s always one thing I look forward to getting. And that’s a Frozen Banana. Covered in chocolate and nuts, it’s a nice break from most of the treats I can normally get locally. This time, I enjoyed the treat this past Sunday at Disney’s Hollywood Studios. The weather was nice and warm and it was a refreshing snack while waiting in line [at least the part of the line before you have to finish your food and drink]. 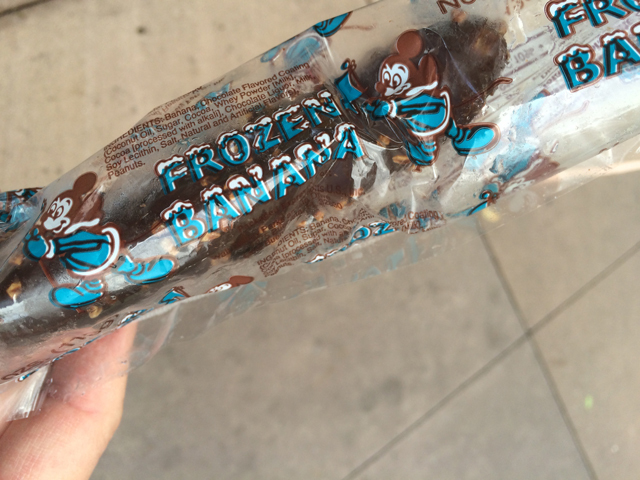 Sure, there are churros and other snacks, but for some reason, I just like the frozen banana. And I will continue to enjoy them each and every visit. I just wish that frozen bananas were covered in milk chocolate instead of dark. My favorite Disney treat is a Dole Whip! I’ve had a Dole Whip before. Very tasty treat. It’s more brown than green. I think the lighting makes it appear slightly green.